I was given the little LR Mate toy, by Bill, manager for Fanuc, to use as my model and jumping off point. Bill wanted an LR Mate with some personality and attitude for his office. Built with reclaimed metal. He wanted an industrial look, so the parts were kept unpainted. 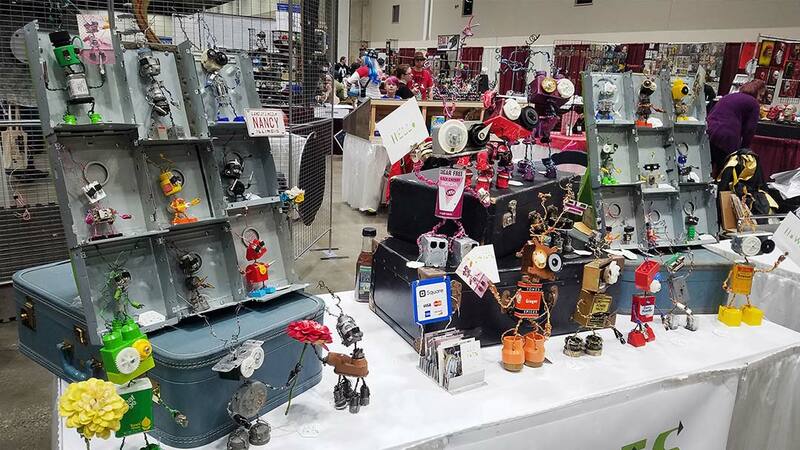 The new LR bot was made mostly out of used electrical conduit and boxes. These parts made it fully movable, by hand, like the real machine. Bots of this size and type generally start around $140 each. Prices can vary depending on the number of bots purchased; parts used in the bots; and size of the bots.